Also available on Windows Store. 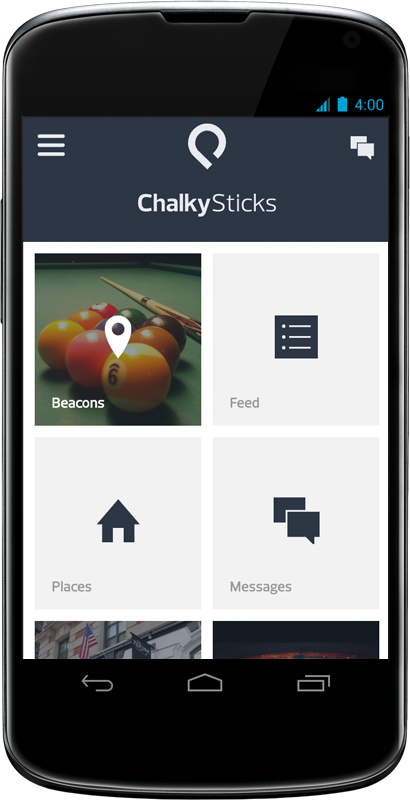 ChalkySticks aims to connect players of all skill levels no matter where you are. 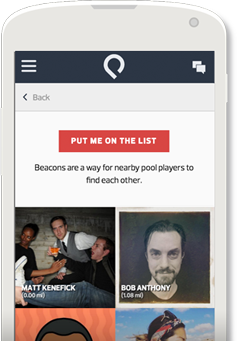 When you broadcast a beacon, it tells everyone in your area that you want to play. The people you see on this list are looking for a game or maybe just to hang out. Check out their profile, shoot them a message, meet up somewhere and shoot a few games. We have spent a lot of time cataloging pool tables in bars and pool halls all across the country. Our users can submit new locations, update details of existing, and submit their own photos. 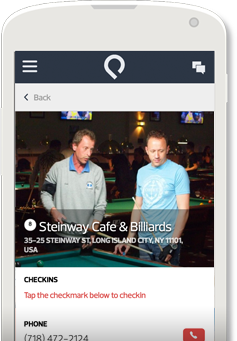 Each place has contact information, a map, checkins, and details like: serves food, has league, snooker tables, etc. 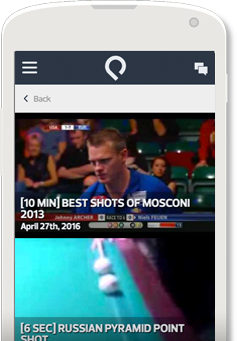 Watch various clips and full matches from a variety of cue sports. We regularly update the videos section with 10-ball, snooker, 8-ball, russian pyramid, tutorials, and trick shot videos. There’s nothing like being inspired by a fantastic snooker safety battle to boost your confidence at the table. We love pool tournaments. Use the app to find tournaments in your area and let others know you are attending. If the host is managing the tournament with ChalkySticks, you can view bracket updates in real-time. If the host allows pre-pay, you can pay your entry fee days or weeks ahead of time.